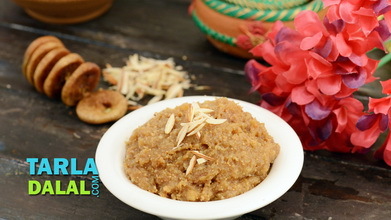 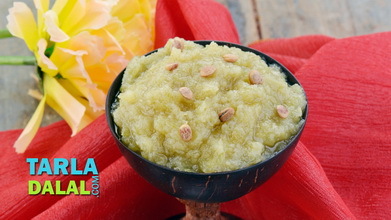 Jhat-pat halwa can be prepared within half an hour because it is made with common ingredients, and requires very little prior preparation and planning. 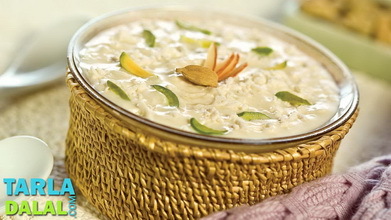 The creamy taste of milk acts as a suitable base, which highlights the shades of saffron and cardamom. 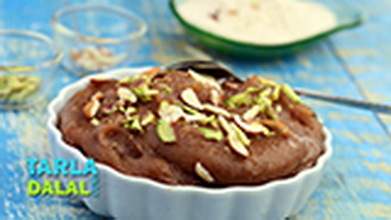 The topping of pistachios and almonds gives it a rich feel. 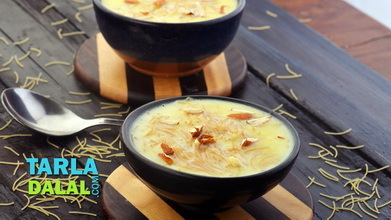 Combine the milk, sugar and curds in a broad non-stick pan, mix well and cook on a high flame for 12 minutes, while stirring continuously and scrapping the sides. 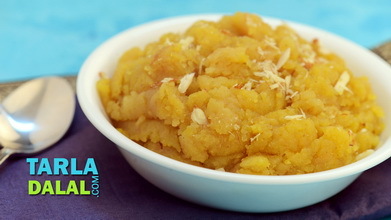 Remove from the flame and allow it to cool and blend in a mixer to a smooth paste. 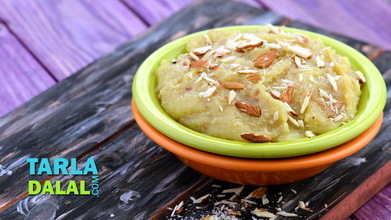 Transfer the paste into a bowl and add the saffron-water mixture, cardamom powder, fresh cream, almonds and pistachios and mix well. 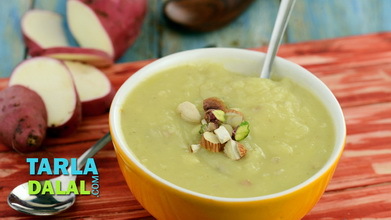 Pour it in a small plate, sprinkle cardamom powder, almonds and pistachio slivers over it. 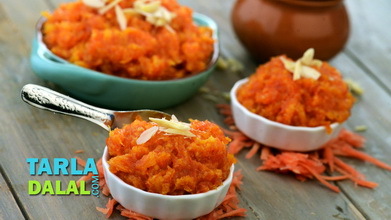 Refrigerate for at least 1 to 2 hours.